This Beach Cottage has been completely remodeled. It is perfect for couples, small families and those vacationing alone. It is very comfortable, stylish and cozy with two bedrooms and one bath sleeps up to 5. It is located in a quiet area and just steps to a beautiful sandy beach. From the cottage it is an easy walk along the beach into the center of the Village with wonderful restaurants, shops and entertainment. For young children we are a short distance to Legoland. Carlsbad is one of the best rated family beaches in the U.S.A. and has easy access to all activities in Southern California. The master bedroom has a queen bed. Most nights you can hear the surf at night from the master bedroom. The other bedroom has a full and a twin in a bunk arrangement. The kitchen has been totally redone with custom granite countertops, beadboard cabinets and new flooring. The kitchen is fully equipped and has a dishwasher, disposal and build in microwave. There is a patio and sun deck area with barbecue and outdoor dining. The house is equipped with two flat screen TVs. A DVD and High Speed WiFi Internet connection are also included. Also there is a separate laundry room just for your exclusive use. Parking is off-street. All kitchen items, towels, linens, beach chairs, umbrella, and boogie boards are provided. A baby Pac-n-Play is available if needed. A tradition in the village is to gather at the beach to watch the sunset and look for the Green Flash. This home is located in a residential neighborhood and we must respect our neighbors. We love children. This property has City of Carlsbad Vacation Rental Permit No. VR-1242691. Easy walk along beach into village. Small peek of ocean from kitchen. Phone service includes long distance calls to continental US. Exclusive use area with supplies included. Living room has sofa and two sofa like chairs. Room can seat 7. Wall mounted flat screen TV and DVD player. Stocked with coffee, tea, spices, bottled water and paper goods. Patio has BBQ, patio table and sun deck with chaise lounges. Boogie boards, beach chairs, mats, sand toys, ice chest, beach umbrellas and wagon provided. 2 bedroom 1 bath - Sleeps up to 5. One bedroom has a queen bed. The other bedroom has a full and a twin. Fully equipped kitchen with granite countertops, updated bath, private patio with barbecue, washer & dryer, high speed internet connection, two flat screen TVs, and off-street parking. All kitchen items, towels, linens, beach chairs, boogie boards, umbrella provided. Baby Pac-n-Play if needed. The area is safe and quiet and not for people on the wild party side of life. We love children. Great location & perfect accommodations! We will definitely be back. House was perfectly located and stocked with everything we could possibly need. The wagon and beach toys were a great addition. Loved the patio and were super happy with our stay! Lovely cottage behind the owners home. Perfect for being close to the beach. My family and I had a very nice time. Typo on the amenities there is no a/c as listed. Can get a little warm and noisy when sleeping with the windows open. Excellent location, updated interior, nice owners, and quiet! We thoroughly enjoyed our stay at the cottage. It was close to beach access and the owners provided all of the essential beach gear. We couldn't have found a better place to stay for our family get away. those little things you might have forgotten such as a bar of soap, paper towels, etc. very thoughtful and much appreciated. We loved having the five minute walk to the beach. Perfect size for family of four. Great place to stay, very close to a great beach and the house was the cleanest beach house I’ve ever stayed in. Super location. Everything you need. Bob and Sue have stocked this place with everything you need. Washer/dryer, microwave, dishwasher, cable TV, wifi, full size fridge and plenty of fresh linens. The location is fantastic; walk to beach or downtown. Quaint, quiet location for small family or 2-3 people. 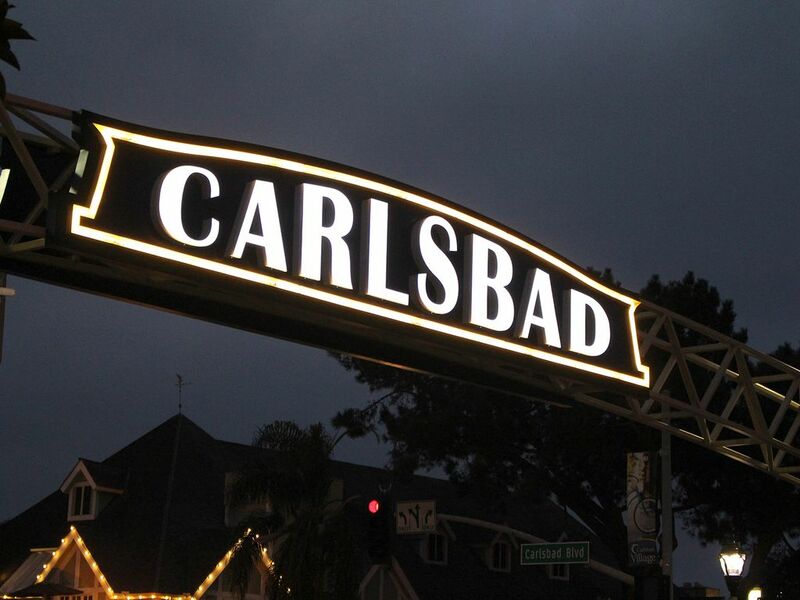 Carlsbad was voted one of the top 5 family beaches in America. 300 feet away is the ocean, with sandy beaches for swimming, surfing, paddle boarding, kayaking, diving, surf fishing and snorkeling. There are very nice areas for walking, jogging, also biking. You can rent bikes, kayaks and surfboards a few blocks away. Close by is a lagoon, where you can rent boats, wave runners, and enjoy other water sports. 4 miles away is deep sea fishing, sailing, and motor boat harbor. Take an easy walk along Carlsbad Beach Boardwalk to Carlsbad Village area with cafes, restaurants, shopping, antiques and entertainment. Sport Fishing, and Wave Runners Close By. Refundable $300 security deposit . Cleaning fee is in addition to rent. No pets. We are pet lovers but this property is not set up for pets. Payment via HomeAway: 25% due at booking, 50% 30 days prior and 25% due 14 days prior to check-in. Utilities, local and long distance phone calls to continental US, cable TV and high speed internet included. This property is legally registered with the City of Carlsbad and has City of Carlsbad Vacation Rental Permit # BLRE1242691.